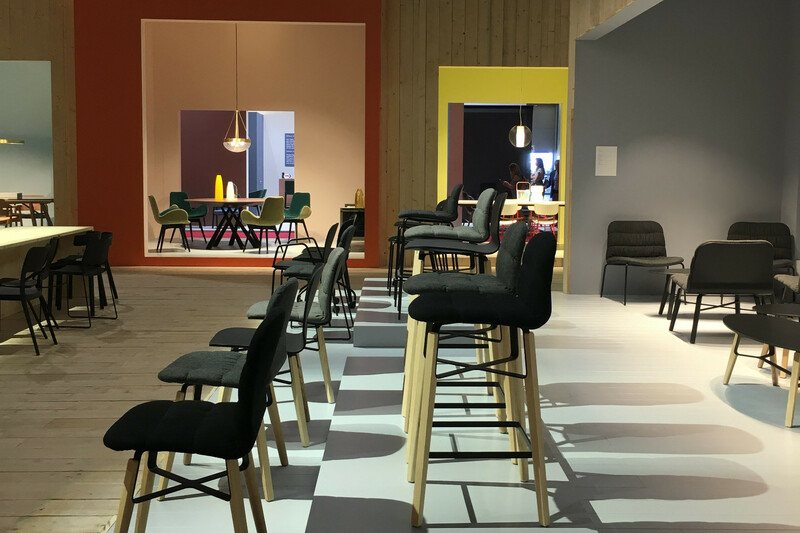 The visit to the Midj stand was a real immersion in color to discover the novelties set in living and dining areas. An area was then reserved for the restyling of the Liù collection, design Archirivolto, which this year sees its components grow with the addition of a collection of coffee tables, lounges and new precious versions of chair and stool with base and wooden body . 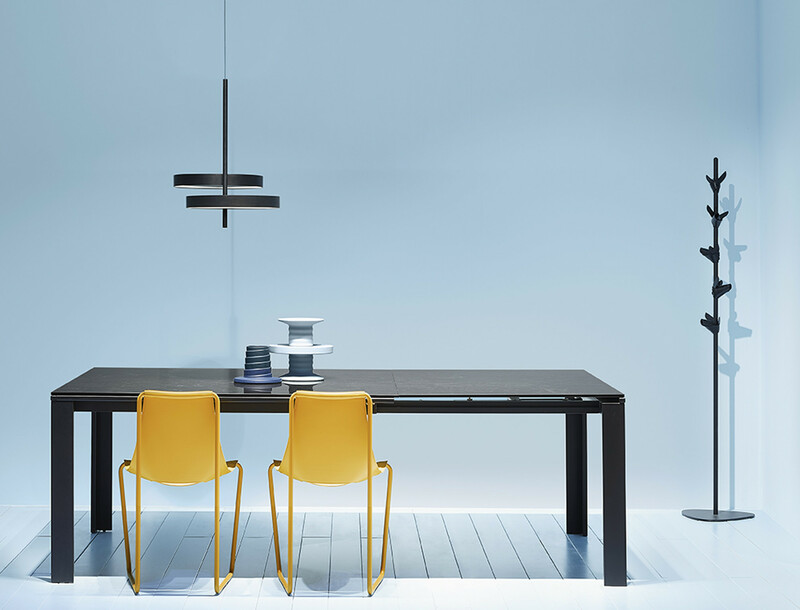 Two inverted Y-shaped modular elements give life to an unexpected table. Baydur is the material used to make these two elements, which together generate a structure with a powerful form. The combination of the two Y, available in solid color or two-color, can generate surprising solutions, giving the table a perfect character for every contemporary setting. 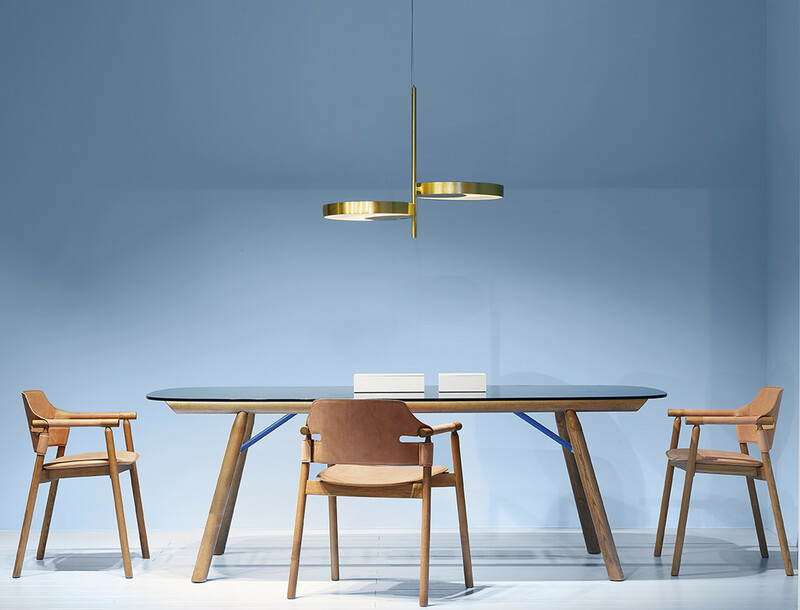 The Nexus table is available in different sizes with crystal, crystalceramic or solid wood top. 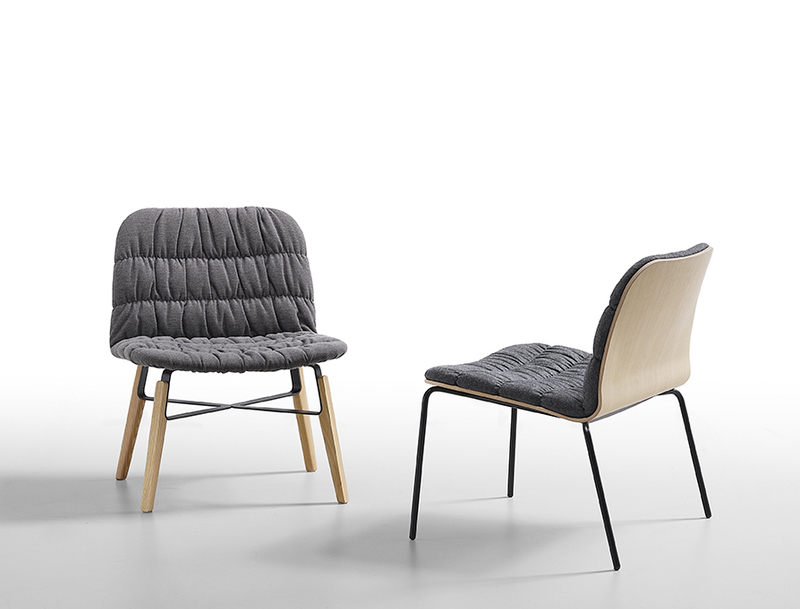 During the Design Week Nexus has been combined with the Wrap S chairs, design Studio Balutto. 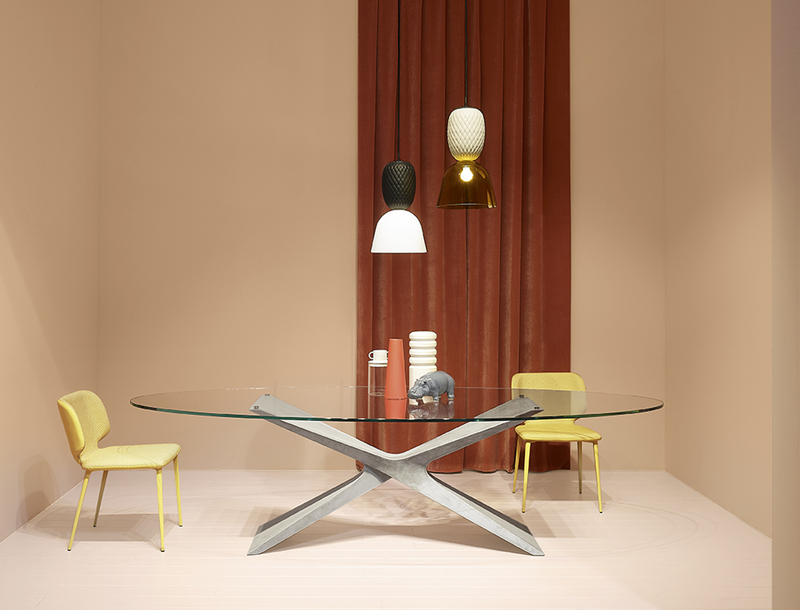 Gran Sasso is the new Midj table designed for those looking for a unique and customizable object. With its sinuous and original shape, its main feature is the base. Made in Baydur, it is also available in a special brushed concrete that amazes with its extremely natural light and dark effects. The central metallic insert that runs from one side of the base to the other can be customized in numerous colors, creating a link with the other elements of the environment. Gran Sasso table is available in different sizes with crystal or crystalceramic top. 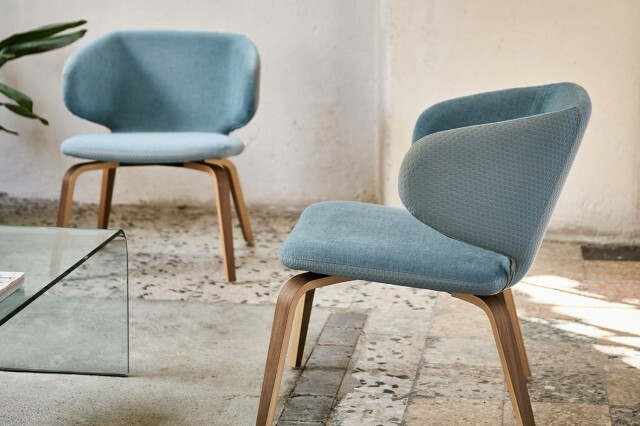 During the Design Week Gran Sasso has been combined with the Guapa P armchairs, sempere#poli design. The Marcopolo extendable table comes in square form to accommodate 8 people and then extends into a rectangular shape to accommodate 14 people. 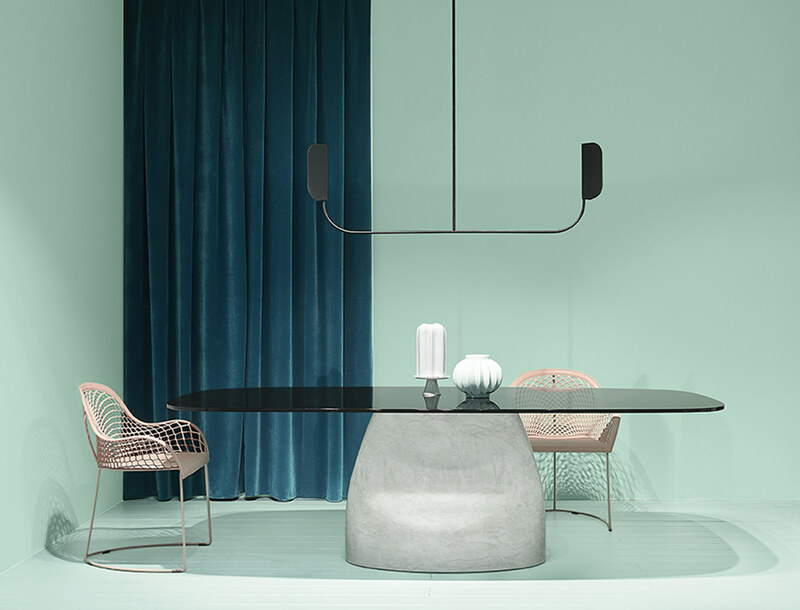 The first square table of Midj, is made with a painted steel structure and an extensible top, it represents a unique product from the simple and functional opening with sliding legs on wheels. The essential and clean design hides its powerful internal mechanism. Marcopolo table is available in square and rectangular shape, both extendable, and it is configurable in different colors and materials. During the Design Week has been combined with the Apelle S e Apelle Tree entrambi design Beatriz Sempere. The Suite collection, presented at the Salone del Mobile 2017, adds this year a table with wooden structure and crystal top. The collection is then completed with the addition of the lounge chair and coffe table made of lacquered ash with leather or Tuscan leather tops. Suite table is available in different sizes with crystal or crystalceramic top and it is customizable in different colors and materials. 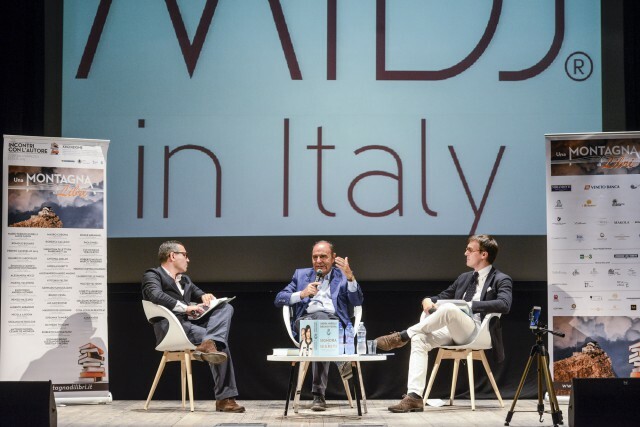 During the Design Week has been combined with Suite P armchairs design AtelierNanni. 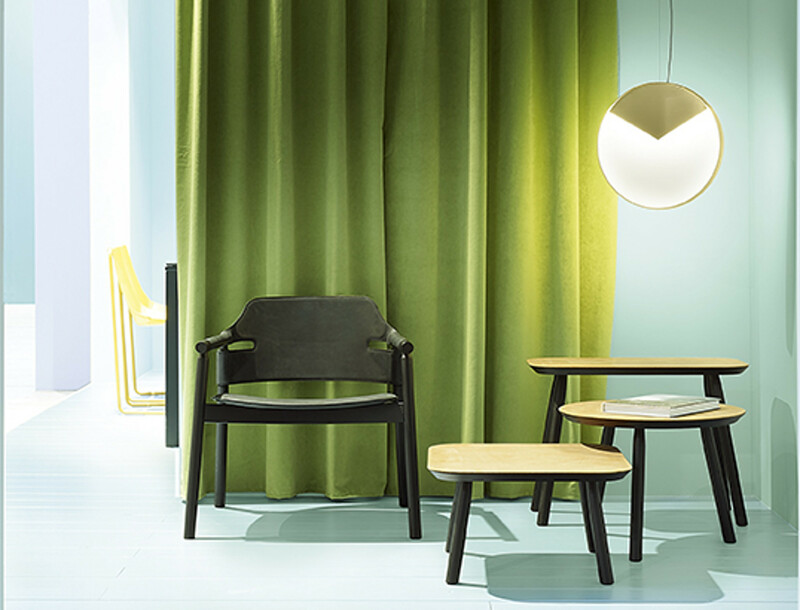 From the basic version presented during the Salone del Mobile in 2013, the Liù collection this year was the protagonist of a true restyling that wink at warm and attractive materials. 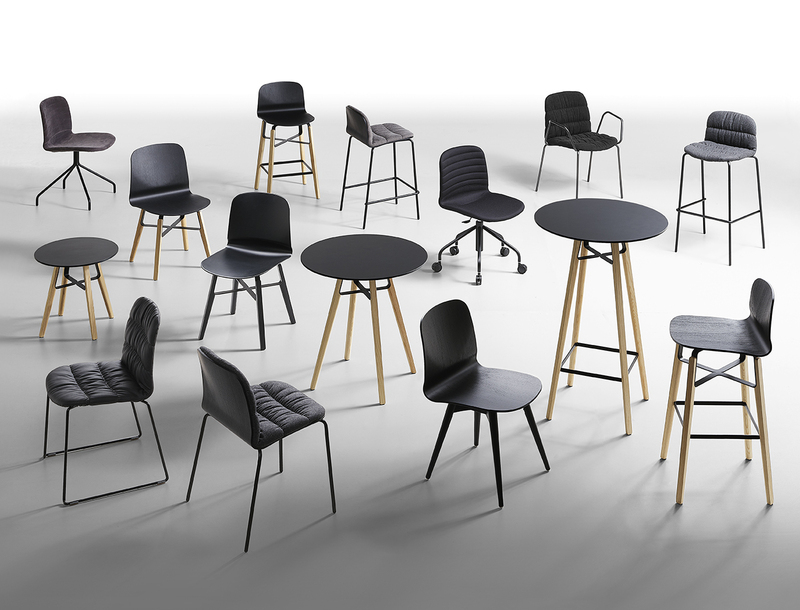 This year Liù stools, Liù lounge, coffee tables and bases for ho.re.ca use are born while the new shells in black restylon, wood and the new steel and wood bases can be combined with all the shells versions. 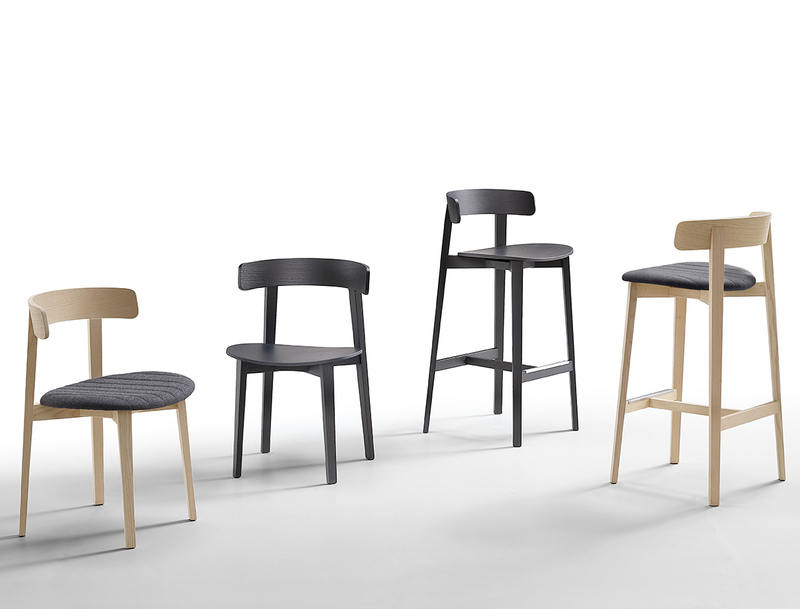 Liù chair, stool and lounge is available with wooden seat or upholstered in two different styles, exclusively for the chair version is available a new black restylon color suitable for the outdoor use if combined with a lacquered steel base. 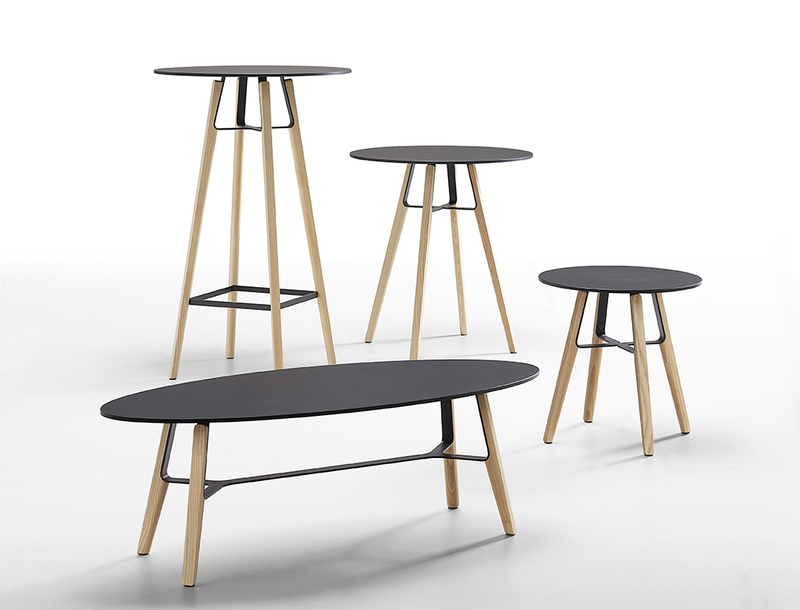 Liù coffee tables are available with base in steel and wood and hpl top. 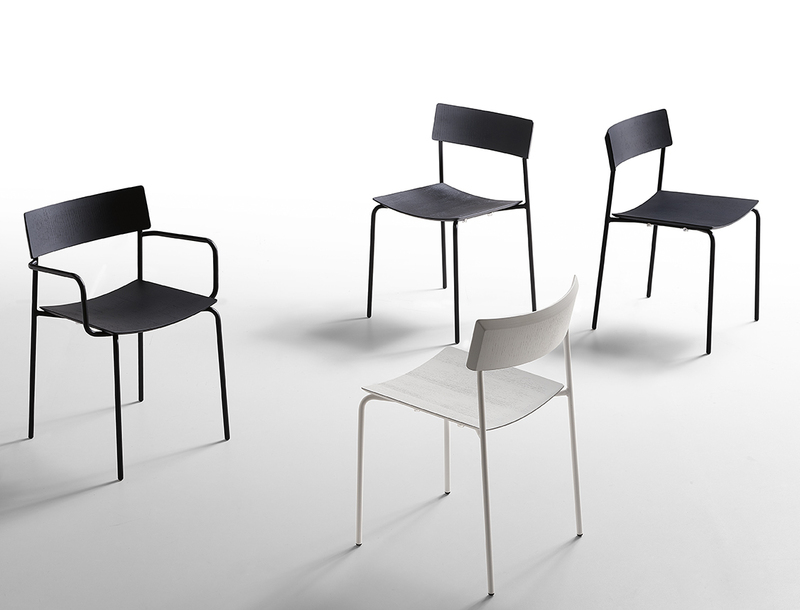 A minimalist design collection with lacquered steel frame with the application of seat and backrest in lacquered ash: this make up a product that evokes the times of the school. Stackable up to 10 pieces and with high comfort, this chair is ideal both for domestic use and for use in the contract sector. 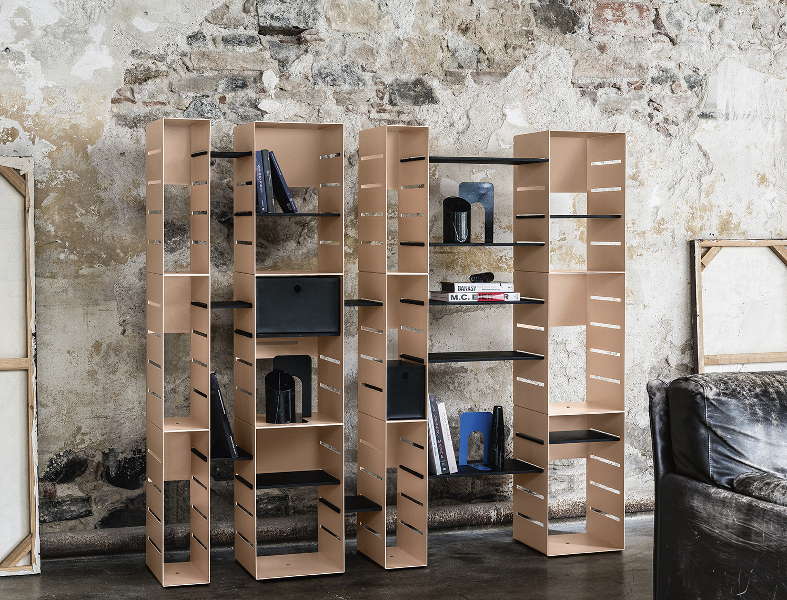 The first modular bookcase by Midj has all the credentials to become a multifaceted furnishing accessory. Two modules of different sizes, three sizes of shelves and two different types of drawers can be combined to configure the perfect library for any space, whether narrow or very large. The moduls are made in lacquered steel, the shelves are made in lacquered ash and the drowers in hide.